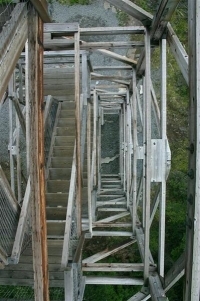 The viewer looks down through the structure from atop Heybrook Lookout in Index, Washington. Creations pallet paints a blaze of color on the foliage near Leavenworth, Washington. 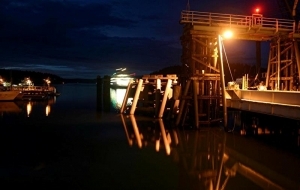 Don't miss the last ferry out of Friday Harbor, San Juan Islands, Washington. Autumn brings brilliant color to the hillside just beyond Skinny Creek, near Leavenworth, Washington. 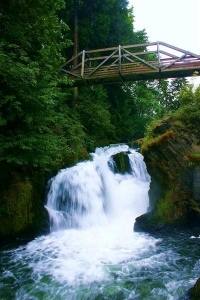 Water thunders over the rocks at Tumwater Falls, in Olympia, Washington.